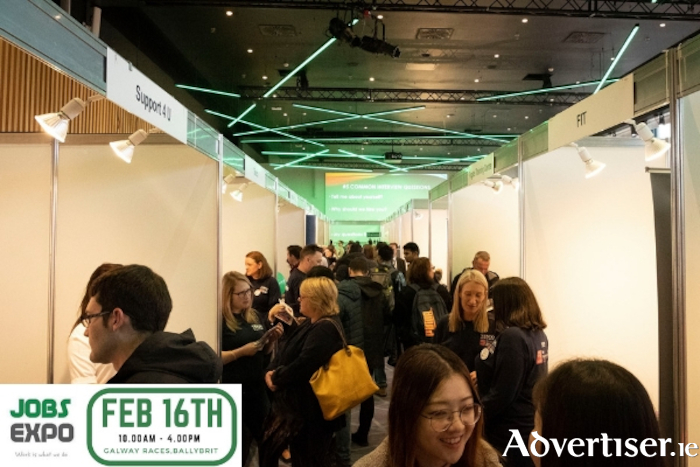 Advertiser.ie - Jobs Expo is returning to Galway, February 16th! Jobs Expo is returning to Galway! This Jobs Expo event will be held at Galway Racecourse on Saturday 16th February 2019 (10am-4pm ). Jobs Expo Galway will feature hundreds of active job opportunities at home and abroad and is the only careers exhibition of its type to feature FREE ADMISSION. With unemployment still at a high level in Ireland, Jobs Expo Galway will provide job seekers with real opportunities to find new employment. We look forward to seeing you at Jobs Expo Galway! For tickets - click here!